Start your day with Kirby Krackle! 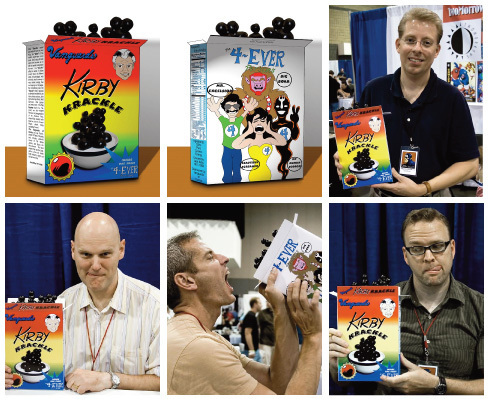 Last weekend at Heroes Con, uberfan Charlie Underhill unveiled his own version of Kirby Krackle, in the form of a new breakfast cereal. As you can see, it made the rounds of the convention hall. (Boy, I’d like to see what kind of books we could come up with if I started every morning with a bowl of that…) Great work, Charlie!